Air Optix Aqua Multifocal contacts provide exceptional comfort thanks to their all-day moisture system and high oxygen permeability. In this package, you'll also receive a 360 ml bottle of Gelone solution and an antibacterial lens case. Air Optix Aqua Multifocal contact lenses provide clear and comfortable wear for patients with presbyopia. 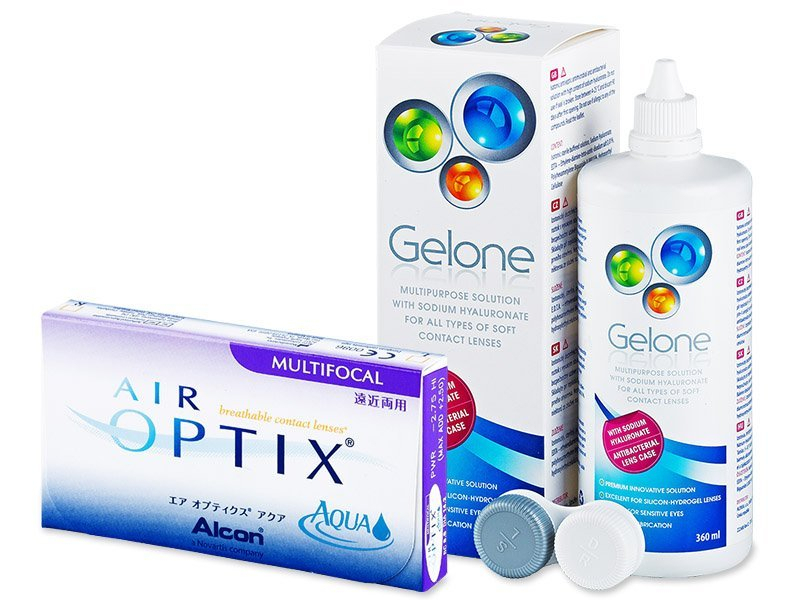 Produced by Alcon, Air Optix Aqua Multifocal are designed for daily wear. Thanks to their advanced Precision Transition Design technology, they provide sharp vision at all distances. 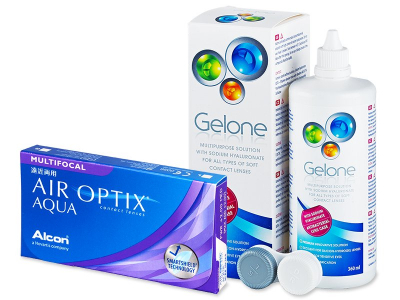 Each package contains six lenses.